The University of Glasgow and Strathclyde Air Squadron, UGSAS for short (pronounced uggsass by those in the know, including you now) had a display at Scotair17 at Ayr seafront. I caught up with some of the student pilots enjoying the sunshine while their colleagues took the strain. These fine people agreed to a quick interview before helping me out with some market research by bouncing back some ideas I have for future projects, for which I am very grateful. 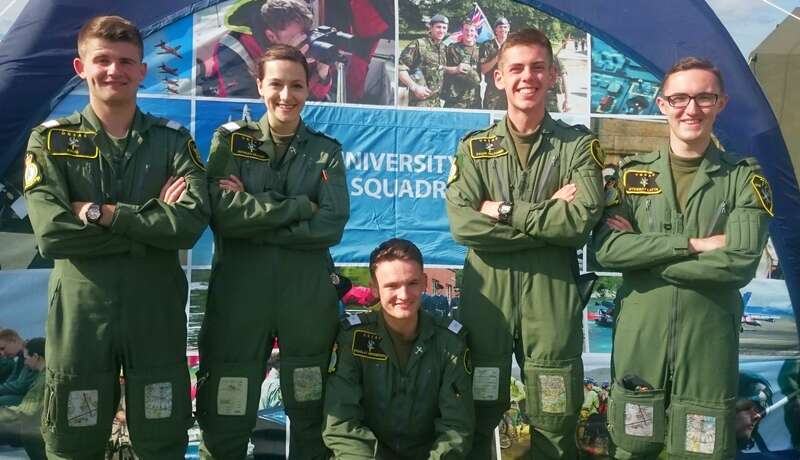 University Air Squadrons are part of the Royal Air Force Volunteer Reserve which has roots back in the 1930's, these squadrons are, as the name suggests directly linked to university bodies throughout the country and are closer to those original ideals than any other part of the RAFVR. That original idea, to provide a body of pilots, trained and ready to join the service should an increase in numbers suddenly arise, is alive and well. The second world war was looming back in those days happily today's trainees are less at risk of facing enemy action in the short term, but many still have an eye on full time RAF service. Keep up to date with the news and events from the world of aviation in Scotland by e-newsletter. I never share your details and I promise not to bombard you with stuff you don't want. Hello, I'm Hannah Munro studying Nursing at University of Glasgow, I hope to join RAF as a nursing officer. Hi, my name is Craig Lavery, I'm going into 3rd year of an Aeronautical Engineering degree at Glasgow, I hope to join RAF as a pilot. Hi, I'm Stewart Latta studying Aero engineering at Glasgow. I have signed up to be engineering officer in RAF and start initial officer training next year. I’m Douglas Henderson, I’m at the University of Strathclyde and I’m studying Aeromechanical engineering as well. I’m a senior in the squadron going into my third year. Calum Falconer, I've got two years left at UGSAS then I start pilot training in the Royal Air Force. Stewart, I see you have Pilot Officer tapes up already, how do you go from having the white ones to rank insignia? In second or third year the boss asks for volunteers for the student command team. Anyone can apply, those who are selected go down to RAF College Cranwell for a commissioning course, that’s about 10 days, then you get a one year commission as an acting pilot officer, to lead the UGSAS Squadron for the next year. RAF Cranwell is the real deal for officer an aircrew selection, is it the same for you as a reserve? No it is very different, officer training is currently 32 weeks so we get a crammed version in a week. It is a different aim as well, they want to give us the tools to go and lead the squadron for a year, rather than leave as competent officers, that would not be possible in a week. They still put you through the wringer, getting you up at the crack of dawn and making you iron your bed, that sort of thing. After it all you get a wee glass of port and a handshake and they send you off. Calum, was it the same for you? I did the same course as Stewart, APO course no7 in July. I’ve got two more years left in UGSAS then I start pilot training with the Royal Air Force. Until then I’ll take all the good training I can get at UGSAS. So have you been accepted already then, do you technically belong to the RAF now? For the next 20 years or so, yes. We go down to the officer and aircrew selection centre, where they do a two day selection process including group work, planning tasks and stuff like that, then you go on to an interview and a medical. Following that if you are successful you get a bursary to help with the financial side, but also the guarantee of a job once you graduate. It’s great to have that job security and additional training, you also get priority for flying. It’s good to have, especially when your mates are going around trying to sort out work placements and hunting for internships. Meanwhile we are going skiing in Austria, climbing in Italy and flying out of Glasgow over Rothesay and the islands, knowing we have a job at the end of it, it’s absolutely brilliant, I love it. What is the best part of the flying then, I take it you go from zero experience? 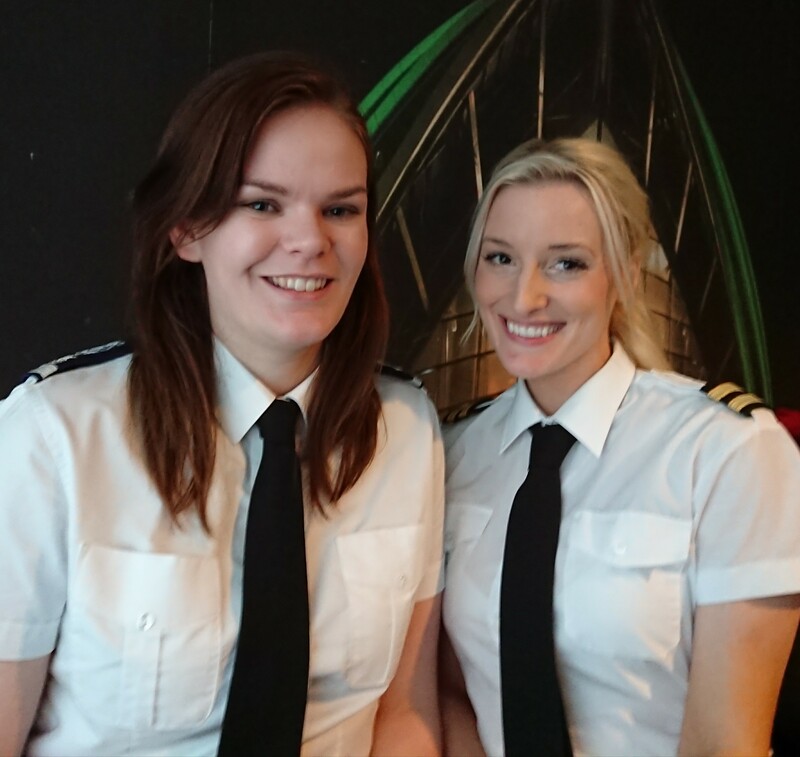 Hannah; I’m at stage two as my degree does not let me go out flying as much as I’d like, it’s five days a week 9am till 4pm so a lot of the guys get more flying than I do, but when I go up I really enjoy it. I can’t wait for the next one. I have to put in the hours though. No not yet, I’m still very early in training, although I’ve been flying before with the cadets. I really love it. It’s about getting proper instruction now though, not just going up and having a faff about. RAF standards of flying and Civilian standards can be quite different, what’s the training at UGSAS actually like? Craig; I really like how rewarding it is when you have a good flight, the jump in standards from where we started to where we are now is amazing. When I first started I had no clue, I was just happy the guy in the left seat was there, now, I’m solo, I did that a couple of months ago and I feel much more confident. I know what’s going on, it’s the progression that’s my favourite thing about it. How much flying do you get with the Squadron, you need 40 hrs for a PPL so what stage do they take you to? It’s just how much time you commit that sets the limit, I was at 13 hrs when I went solo, I’m currently about 14hrs. Each sortie lasts about an hour. Depending what you do you can maybe get some aerobatics at the end of it if you are lucky. I’m currently on climbing turns and climbing descents, I have been for the last two years but I have chosen to take advantage of the ground training side of things rather than the purely flying aspect. My compatriots in fourth year are all past solo going onto the advanced syllabus so if you do choose to go just on the flying side then you can go quite far, some of them are up past the 50 hour mark. I suppose once they get you past all the hard bits with good instruction you can go and hours build yourself? I’m a post solo student and I’m working on my preliminary flying badge right now so I’m about 27 flying hours. I’ve poured a lot of time into it. I have to say one of the best feelings ever is going on your first solo. It’s something else being able to go and fly the aircraft on your own, it’s absolutely fantastic. It’s an amazing experience that no other organisation really gives you. Calum, what stage are you at? Like Doug I’m a solo student now, I got my solo in a few months ago now. It is demanding, really demanding, some flights you just come down burst. They train you to the RAF standard and that is high, really high. I know of no other organisation that will give you flying training for free, but in return they expect a lot. A lot of reading put in and a lot of learning, they want you to have your checks squared away. The pilots won’t send you solo unless they are 100% certain that you are up to scratch. It is really satisfying though, a lifetime achievement even if you don’t join the Air Force. To have that instilled in you, to have gone up there and touched the sky by yourself, it’s great. Really. Really good. I come back down with a big smile on my face. "It is really satisfying, a lifetime achievement even if you don't join the Air Force; to have that instilled in you, to have gone up there and touched the sky by yourself, it's great." So flying out of Glasgow airport, how does that go, how does air traffic control treat you? To be fair, air traffic control are not a problem at all, it is an international airport and they do what they need to do. We are the lowest priority at the bottom of the list, if something goes wrong we get kicked off, that’s the reality. It is when we want to do circuits that the problems really come in, but we go on summer and autumn camps over to Kinloss so we will get the circuits in there. Is that the only time you get to practice circuits, at camp? No we go to Prestwick as well or Leuchars sometimes and do them there. Ok, if your instructor was to just give you the aircraft for the day where would you go flying? Calum, I’d love to go to Europe, the south of France, nice, Bordeaux or over my house in Falkirk. A couple of barrel rolls over there to show off to the neighbours, that would be good. Douglas, I’m from Forres, so I’d like to head up there, over the mountains, the Grampians, that is a lovely area. 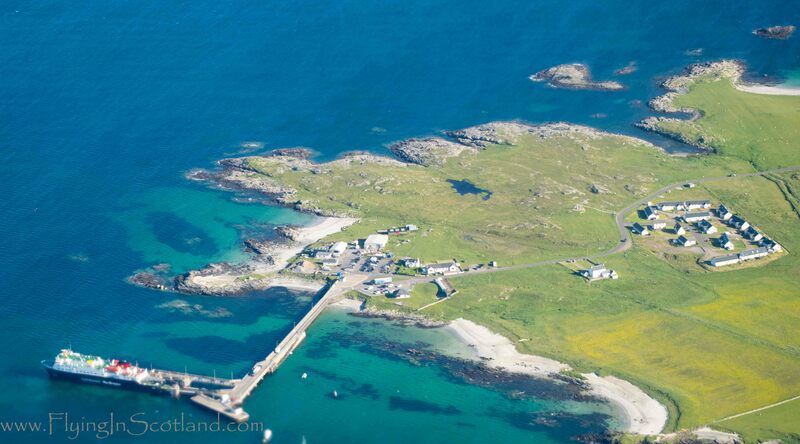 When we went to fly at Kinloss I knew the area and could spot things, saw my house and where I used to play in the park, it was absolutely fantastic. I’d really love to just do the transit between Glasgow and Kinloss. Stewart, I’m from Giffnock in the south side of Glasgow, so I’d like to head off there and show my friends a bit, do some aerobatics. Craig; I live in Erskine, just a few minutes away from Glasgow so every time I go flying I do fly over my house. Hannah; I’m from North Berwick out by the Firth of Forth so I’d like to head out there and see that from the air, out along the Firth, see the new bridge. There are 50,000 people walking across it today with the opening ceremony. I would imagine how you are taught and the standards expected at UGSAS will outstrip some PPL courses by a margin. You might hear some people say they went solo after 5 hours but what are the standards of tuition? The standards expected are really high and the quality of teaching is superb. Our instructors probably do wait longer, until they are absolutely confident that we have the exercises nailed before they move on. We had a holding pilot recently, waiting for his next tour on Chinook helicopters, I learned from him alright. 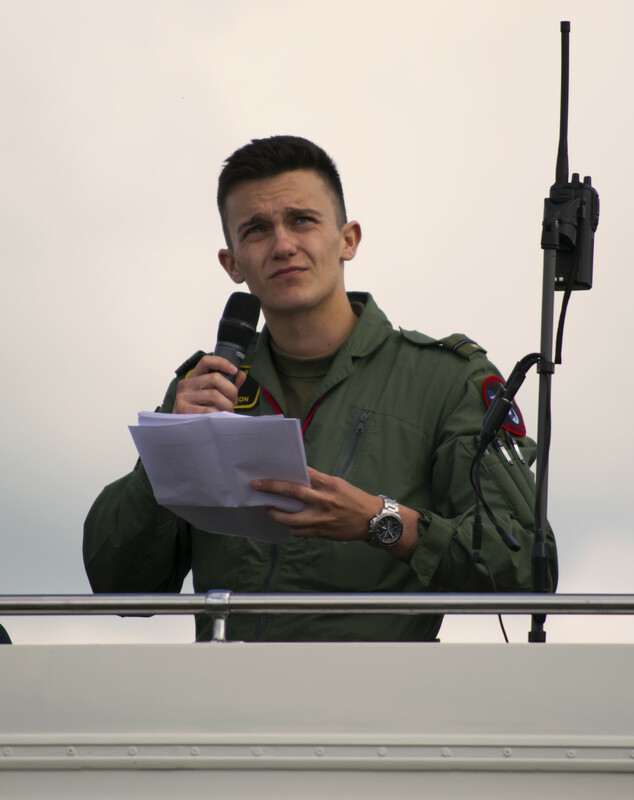 UGSAS provided the commentary for the RAF Tutor display, the same aircraft the students fly.